Skyler Lawrence Rides Bike — Skyler Lawrence of Florida has made another bit of history. She has learned to ride a bike. Here she is for the first time with her Handsome Daddy. 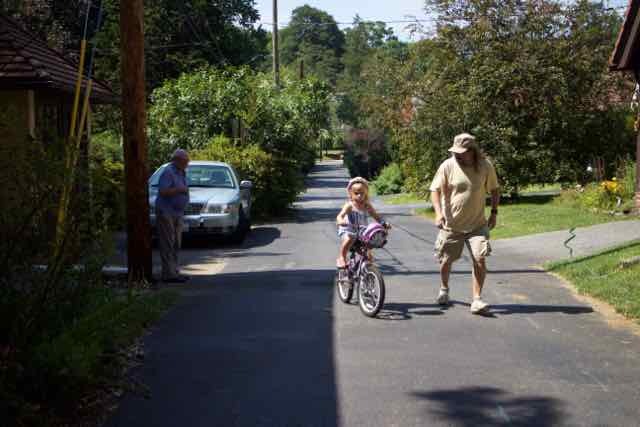 She even did it again at the top of the hill to show her proud Pop Pop. The event occurred on Windsor Circle in Springfield, Pa. It was where Handsome Daddy learned to ride as well.